…I am an incredibly selfish person. 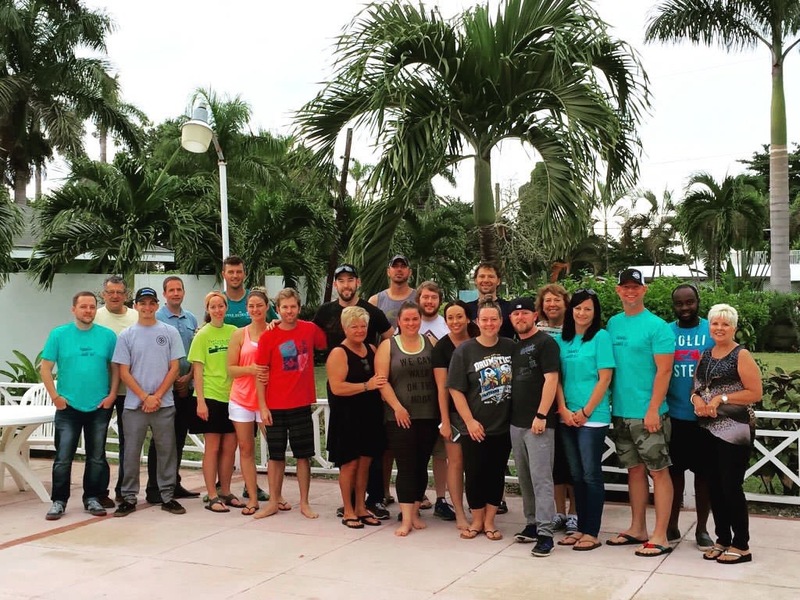 I was recently reminded just how selfish I can be while serving in Jamaica alongside an awesome team from the NASCAR Community. 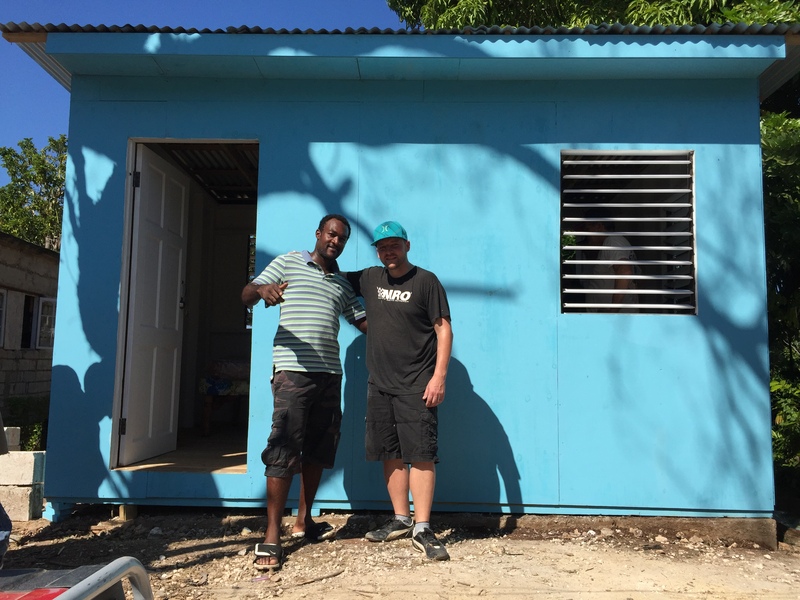 We had travelled together to partner with IsleGo Missions; to build a home for a woman living in Steer Town. Our trip was a short trip with two partial travel days and two full workdays. There were concerns as to if our team could complete the project in the time we had there. As only a group of nomads from the NASCAR community could, we completed the construction project in record speed. Mind you this was no sloppy rush job, the level of excellence put into every inch of that home was impressive. After completing one full day of work, we only needed a few hours on the second day to wrap things up and hand over the keys to a brand new home. 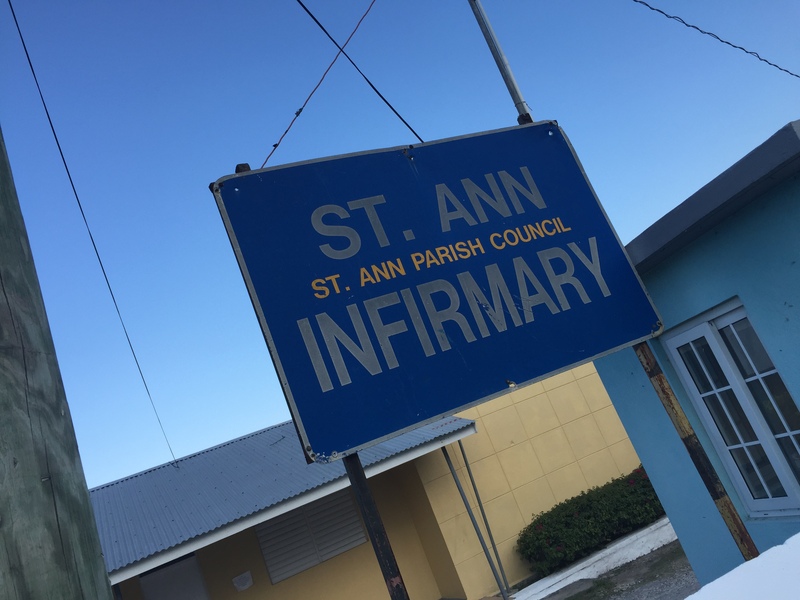 Our expediency on the construction project afforded us the time to make a few other stops in the afternoon, one of which was St. Ann Parish Council Infirmary. I’m not going to take the time here to share with you what the Infirmary was like; the conditions and stories are something that cannot be accurately conveyed in a few words. Yet it was within the gates of the Infirmary that I realized just how selfish of a person I am. As we were leaving the infirmary a gentleman, who had apparent cognitive disabilities, came towards me reaching for my hat. The bright blue Hurley hat on my head caught his eyes and he really wanted it. As he reached for my hat, I leaned away from his reach making sure my hat stayed planted safely on my head. It was the only hat I had with me on this trip, and to be honest I really liked my blue hat. I didn’t want to part with it. He again made a motion gesturing for me to remove the cap from my head and place it on his. Finally, he pulled his sunglasses off of his face where I could see his eyes, and he mouthed “cap”, “head”. I left the infirmary that day with my bright blue Hurley hat still on my head. It wasn’t until later that evening that the weight of my decision began to settle down on my shoulders. We sat around in a circle that evening debriefing when Dusty, the founder of IsleGo Missions, began to tell us a story. Dusty shared with us something that happened in the early days of IsleGo Missions. They were holding a church service in the street in a small community in Jamaica. During the service a gentleman interrupted them walking towards the front of the group. In one hand he held a Red Strip beer and in the other he held, as Dusty put it, the biggest ‘doobie’ he’d ever seen. Dusty ran interference between himself and this gentleman, as well as another drunken man that had now entered the scene as well. As Dusty brought them to the back of the meeting area, they finally confronted him with a question. That moment, and that question, changed everything for Dusty and his ministry. While listening to Dusty retell this encounter I was brought to the realization of just how selfish I can be. I am very vocal in encouraging others to ‘be love’ to those around us. I believe that as we participate in “missio dei”, the sending of God, the way we love others plays a fundamental role. But when what we say and what we do don’t align, what we do speaks significantly louder. There are many times that I love people out of convenience and comfort, yet choose not to love in the moments of sacrifice and discomfort. When it comes to loving others, I feel like Paul. There are times that we all find ourselves ‘earning points with God’; yet backing down when we are truly called to a place of sacrifice, a place of discomfort. 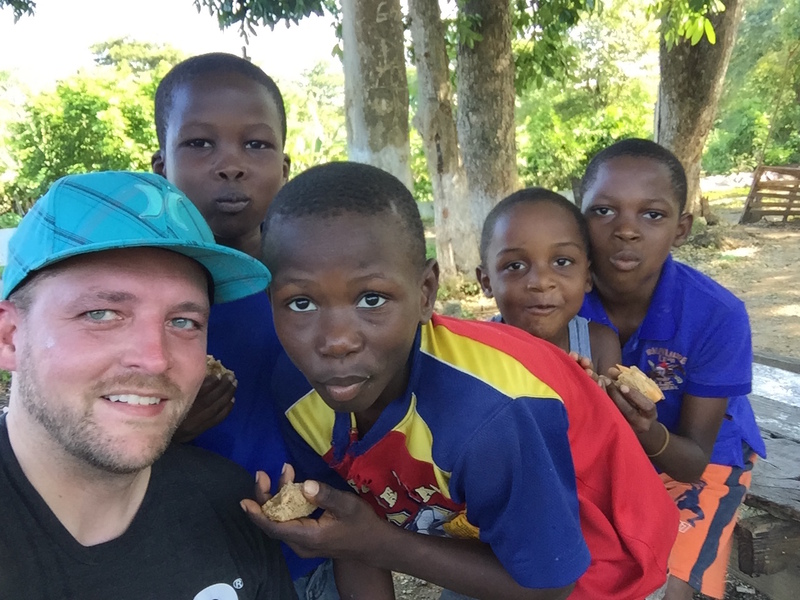 It was easy for me to ‘earn my points with God‘ by helping build a home and spending time with the dear people of St. Ann Infirmary, yet in the moment that I could have shown authentic love for someone I backed down. My own pleasure overtook an opportunity to love. My blue Hurley hat likely would not have changed this man’s life, but it could have given him hope in the moment; which is really what all of us need to have the power to change ourselves. By the strength of God may I be more about participating in the Mission of God than earning points with Him. May I be more about loving others as I love myself than elevating myself above all others. I want to live in the uncomfortable places that Jesus led us to. Not just in my response to those in need, but in my response to those in abundance. In my response to my enemies and in response to my friends. I want to live like I believe Christ when He affirmed that we are to love God with all of our heart, and we are to love others as we love ourselves. I want live like I to believe Christ when he told us hate is like murder…and that we are to pray for our enemies. That we are to do good to our enemies expecting nothing in return. That we are to be merciful. I want to live like I believe Christ when he said if someone takes our shirt, to give them our coat too. I want to live like I believe Christ when he said not to store up our treasures here on earth…that where I treasure was there our heart would be too. I don’t want to be comfortable. I don’t want to be cozy. I don’t want to use the narrative of Christ to further my own agenda and goals. God help me to not represent that, help me to relearn your ways, and to walk as a true follower of Christ. I don’t want to just know you, I want to follow you. I don’t want to prostitute you, I want to submit to you. God help me be different. Salt. Light. Hope. Oh, and as for that blue hat of hope? I had someone deliver it to Ricardo at the Infirmary the next day.